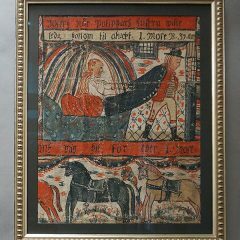 A section of a Swedish bonad dated 1818 showing a scene from the Book of Genesis in which Joseph flees from Potiphar’s wife, leaving his cloak behind. 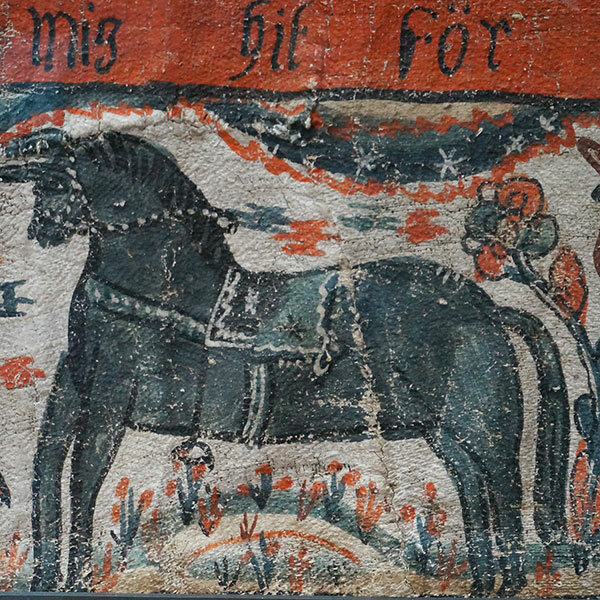 The lower panel shows part of a long line of horses. 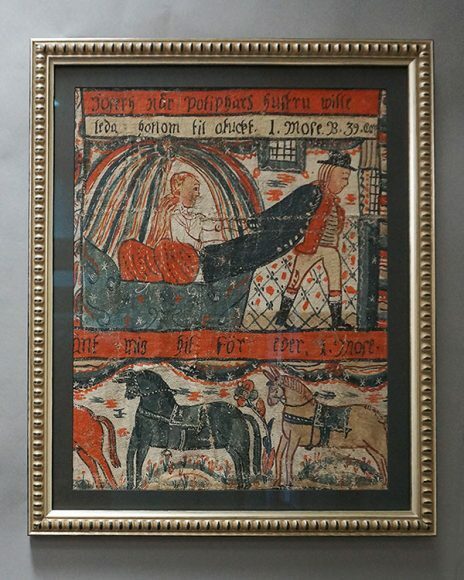 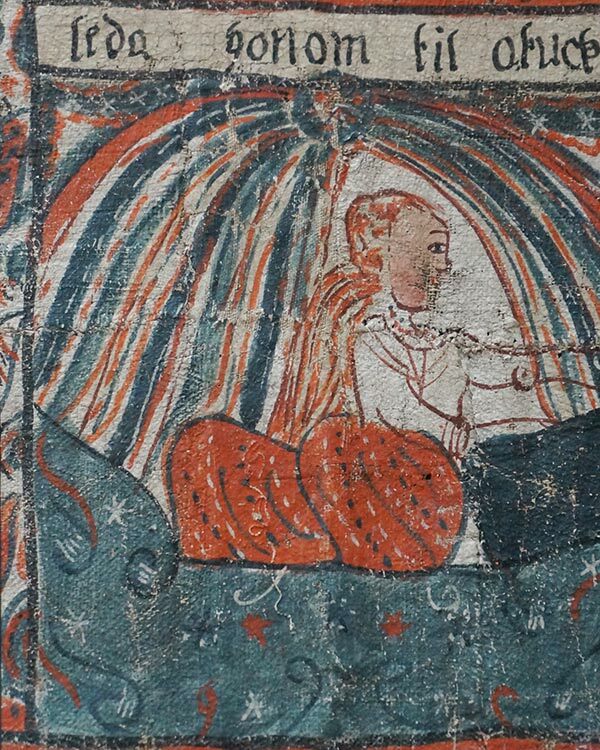 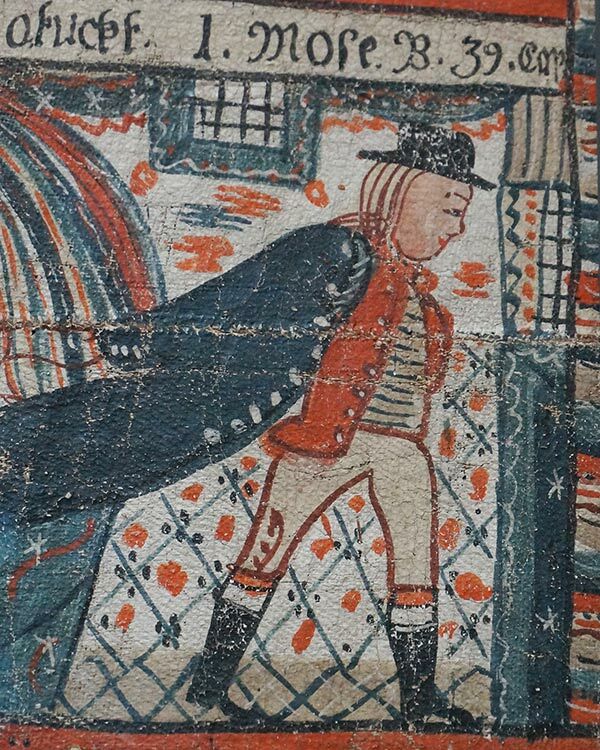 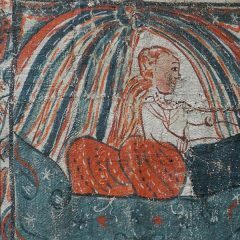 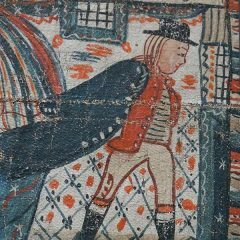 Tempera on burlap, ascribed to the Sunnerbo school. Newly framed with archival materials.